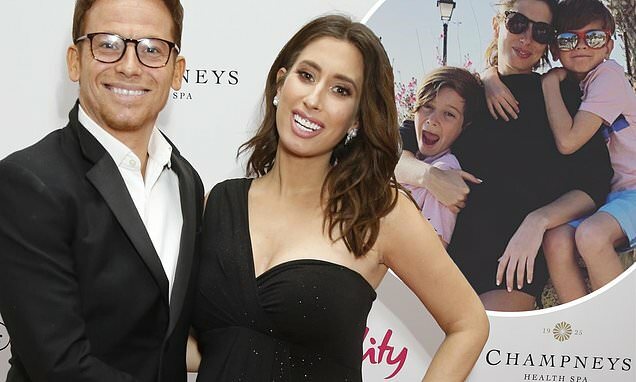 Stacey Solomon was left stumbling over her words when her two sons asked her whether she ever plans to marry her boyfriend Joe Swash. During a jokey interview with The Sun, Stacey was asked a series of embarrassing questions by her two boys Zachary, 10, and Leighton, six. When she was asked the question she struggled to offer a straight answer, and replied by saying 'I dunno', however her sons weren't letting her off lightly. Leighton then joked: 'You just don't wanna marry him, do you?' To which Stacey said: 'I do, not, no' as she squirmed in her seat. However Stacey insisted she is 'very happy' with Joe, after the couple recently announced that they are expecting their first child together. It seems as though the impending birth has made Stacey emotional as she revealed on Instagram that she was in tears while looking at second son Leighton's baby book on Saturday. Alongside the photos, there were suggested name ideas, with the star considering the name Riley as well as Leighton. She also toyed with the possibility of Darcy or Isabella, if her child had turned out to be a girl. The TV personality then shared an image of baby Leighton and his big brother Zachary, with Stacey adding the words 'I can't cope' alongside three crying emojis.